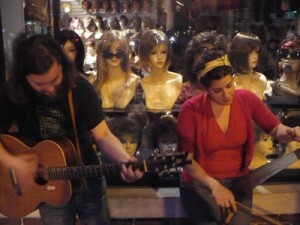 PJ Bond and Lauren Baker perform in front of Kim’s Wigs in summer 2010. 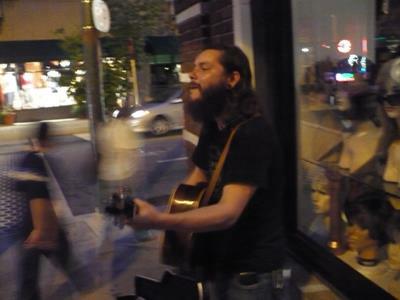 Last week, we featured a song by then-local singer-songwriter PJ Bond from the pre-video days of Busk Break. 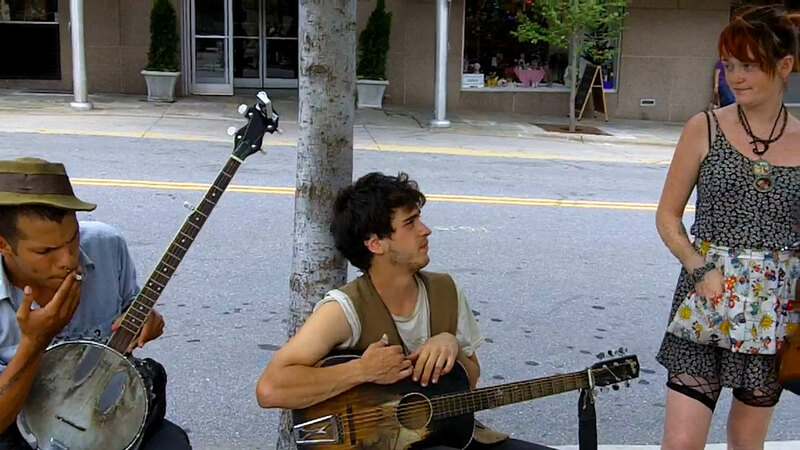 This week, we’re adding the second tune from that recording in July of 2010, as Bond was joined in front of Kim’s Wigs by his friend Lauren Baker. Natchez On Fire in Asheville, 2011. 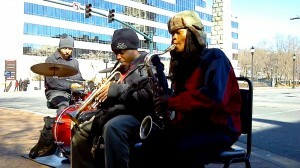 PJ Bond performs in front of Kim’s Wigs in 2010. On a warm July night in 2010, singer-songwriter PJ Bond stood in front of a wig store and played his heart out. 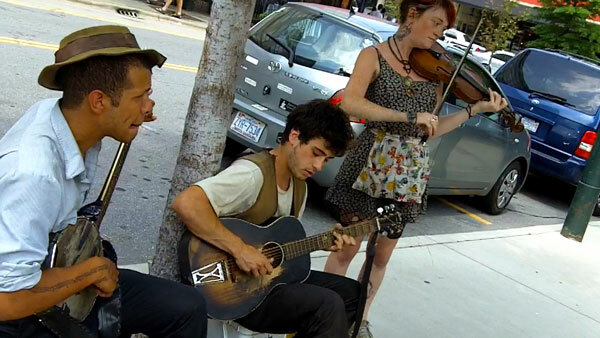 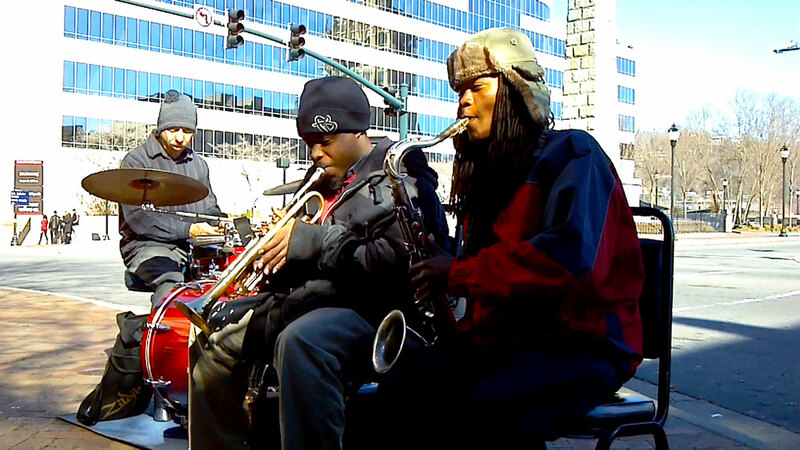 This was in the early days of the Busk Break project, and it set the tone for the rest the performances that summer. Natchez On Fire playing in Asheville, NC.